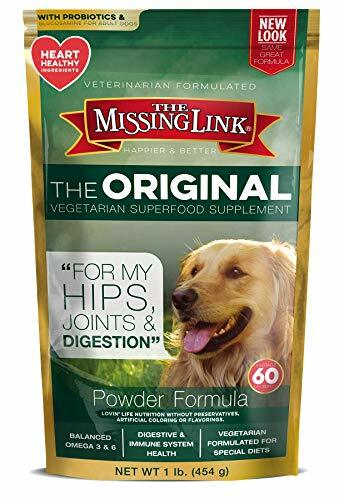 The Missing Link vegetarian formula is suitable for both dogs and cats and is especially convenient for situations where animals share feeding areas. Add The Missing Link to your animal's regular food according to its weight. DAILY INTAKE: Weight of Animal Amount/Teaspoons Up to 5 lbs. 1/4 tsp. 5 - 9 lbs 1/2 tsp. 10 - 12 lbs. 3/4 tsp. 12 - 20 lbs. 1 tsp. 20 - 40 lbs. 2 tsp. 40 - 80 lbs. 3 tsp. 80 - 100 lbs. 4 tsp. Over 100 lbs. 6 tsp. GUARANTEED ANALYSIS: Represents minimum levels per Tbsp. (3tsp.) = 8g unless otherwise state: Crude Protein (min) 18% Crude Fat (min) 28% Crude Fiber (max) 15% Moisture (max) 10% Linoleic Acid (an Omega 6)(min) 500mg *Linolenic Acid (an Omega 3)(min) 1000mg *Not recognized as an essential nutrient by the AAFCO dog and cat food nutrient profiles. "The Missing Link" brings together the views on the defense of the continent of the five principal neutral nations in Europe--Switzerland, Sweden, Finland, Yugoslavia, and Austria--and examines the evolution and current status of the security threats faced by them. The analyses presented here were commissioned by the Programme for Strategic and International Security Studies at the Graduate Institute of International Studies in Geneva. 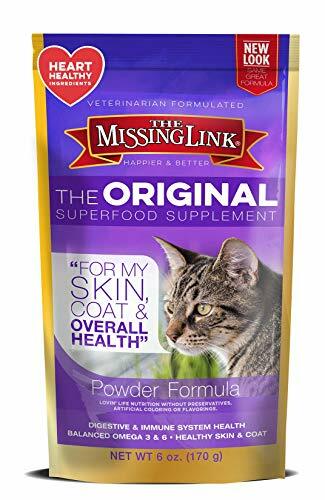 The Missing Link - Original All Natural Superfood Cat Supplement – Balanced Omega 3 & 6 to support Healthy Skin Coat, Immunity and Overall Health – Feline Formula – 6 oz. What would your cat say if he knew he was missing out on some of the daily nutrition needed to live a happier & better life. We shudder to think! With just a spoonful of The Missing Link Original Ultimate Feline Formula, add the essential Omega fatty acids, phytonutrients and dietary fiber to support your cat’s skin, energy levels, coat, digestive and immune systems… pretty much his whole body. Even the most discerning feline diners can’t resist this oh so nutritious and delicious ORIGINAL superfood supplement. We’d say that’s a pretty puuuuuuurrrfect daily addition to any bowl. A comparative study of lemurs in the context of shared ancestral links with both humans and primates. Are humans unique in having self-reflective consciousness? Or can precursors to this central form of human consciousness be found in non-human species? The Missing Link in Cognition brings together a diverse group of researchers who have been investigating this question from a variety of perspectives, including the extent to which non-human primates, and, indeed, young children, have consciousness, a sense of self, thought process, metacognitions, and representations. Some of the participants--Kitcher, Higgins, Nelson, and Tulving--argue that these types of cognitive abilities are uniquely human, whereas others--Call, Hampton, Kinsbourne, Menzel, Metcalfe, Schwartz, Smith, and Terrace--are convinced that at least the precursors to self-reflective consciousness exist in non-human primates. Their debate focuses primarily on the underpinnings of consciousness. Some of the participants believe that consciousness depends on representational thought and on the mental manipulation of such representations. Is representational thought enough to ensure consciousness, or does one need more? If one needs more, exactly what is needed? Is reflection upon the representations, that is, metacognition, the link? Does a realization of the contingencies, that is, "knowing that," in Gilbert Ryle's terminology, ensure that a person or an animal is conscious? Is true episodic memory needed for consciousness, and if so, do any animals have it? Is it possible to have episodic memory or, indeed, any self-reflective processing, without language? Other participants believe that consciousness is inextricably intertwined with a sense of self or self-awareness. From where does this sense of self or self-awareness arise? Some of the participants believe that it develops only through the use of language and the narrative form. If it does develop in this way, what about claims of a sense of self or self-awareness in non-human animals? Others believe that the autobiographical record implied by episodic memory is fundamental. To what extent must non-human animals have the linguistic, metacognitive, and/or representational abilities to develop a sense of self or self-awareness? These and other related concerns are crucial in this volume's lively debate over the nature of the missing cognitive link, and whether gorillas, chimps, or other species might be more like humans than many have supposed. 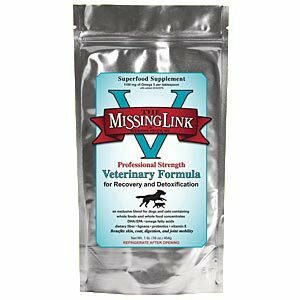 The Missing Link Professional Strength Veterinary Formula for Recovery Detoxification Dog Supplement provides a synergy of unique ingredients that offers a natural, professional strength compliment to conventional therapies for both dogs and cats. This exclusive blend contains whole foods and whole food concentrates, omega 3 fatty acids, DHA/EPA, Vitamin E, taurine, parsley, milk thistle, spirulina, grape seed extract, lactobacillus acidophilus, lactobacillus rhamnosus, and burdock root. 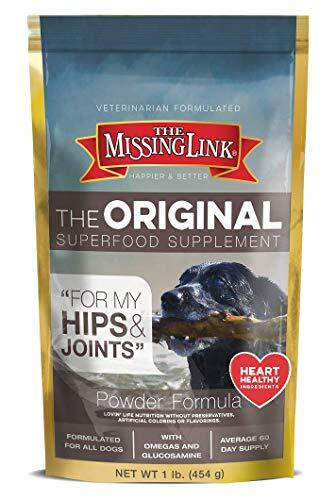 The Missing Link Professional Strength Veterinary Formula for Recovery Detoxification Dog Supplement provide positive recovery and detoxification benefits and assist in improving all aspects of animal health. Contains whole foods and whole food concentrates Omega fatty acids EPA/DHA Taurine for heart and eye health Please refrigerate after opening. Photography, more than any other medium, has altered the way we see ourselves and changed our perception of art. Pictures of people have become part and parcel of our daily life, influencing us through advertising and media. At the same time, the status of the human image in art has been enhanced, even though photography has called into question traditional views of art. Photography is, as it were, the "missing link" between man, the image of man and art. Drawing on case studies from Ethiopia, Sudan, Chad, Mali and Kenya(focusing on Turkana district) during the drought years of 1990-91, this book investigates why early warning signals were not translated into timely intervention. It examines, for the first time, the role of early warning information in decision-making processes, particularly within key donor agencies. Unemployment has been somewhat neglected within the world of economics in recent years. However, even within the EU, several regions still suffer from worrying levels of people out of work. This book explores the subject of unemployment in detail, analyzing past successes and failures in the area, and offering lessons and proposals for the future. 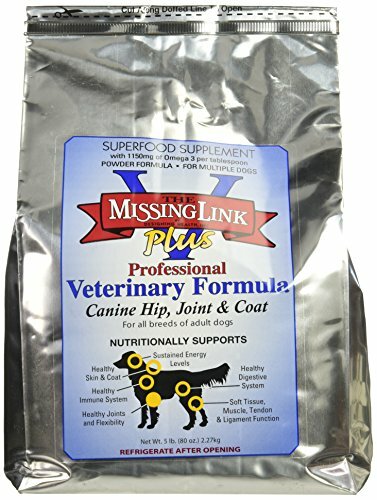 Missing Link Plus Professional Strength Veterinary Formula With Joint Support, 5 lb. All in One super food supplement with added Glucosamine for joint support that targets the nutritional GAP between what nature provides and what is available in processed foods. Supporting nutrients for: healthy skin and coat sustained energy Healthy digestion normal weight This unique synergistic blend of the highest quality ingredients combines: Omega fatty acids to support cardiovascular and intercellular health, for absorption of fat soluble vitamins, and to maintain energy levels. Dietary fiber to promote a healthy digestive system. Phyto (plant) nutrients to support general health and nutrition. Glucosamine HCl for healthy joints. 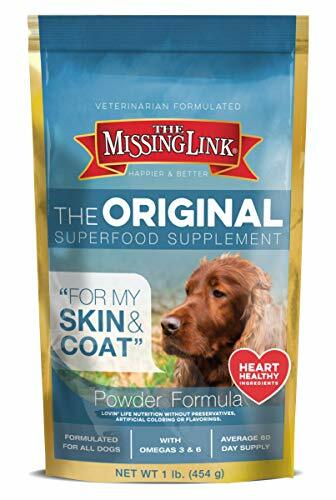 The Missing Link Original All Natural Superfood Dog Supplement- Balanced Omega 3 & 6 to support Healthy Skin & Coat – Skin & Coat Formula – 1 lb. Performance reporting--publishing information on the results of higher education at the state, system, and institutional levels--is said to have the potential to enhance external accountability, improve institutional performance, further state needs, and possibly even increase state funding. But are campus administrators and public officials actually using these reports? Does performance reporting really lead to these kinds of outcomes? No study has ever tested the effectiveness of performance reporting--until now. This issue explores the origins and development of performance reporting, examines the attitudes of state and campus leaders, and discusses how these reports are--or are not--being put to use. Burke and Minassians begin by tracing the rise of performance reporting amidst the demands for increased accountability in higher education in the late 80s and early 90s. They examine the formats, coverage, and content of performance reports--with a particular emphasis on how well suited they are to the needs of their end users in government and on campus--and discuss how reporting indicators are selected and what the selection process tells us about policymakers' goals, values, and models for excellence for public colleges and universities. The authors then look at what state and campus officials think about performance reports and how they actually use them. Burke and Minassians analyze the opinions of a geographically diverse group of governor's aides, legislative chairs of education committees, higher education finance officers, and campus institutional researchers about the use, effects and future of performance reporting, and about the importance and appropriateness of the indicators most commonly used in performance reports. Finally, the authors discuss reasons why performance reporting does not yet seem to be having the strong positive impact envisioned by it's supporters, and they make recommendations about how to best use and improve performance information. This is the 116th issue of the quarterly journal "New Directions for Institutional Research."